Skin problems can reflect internal problems in the body. Keep your body and your skin healthy with the abundant antioxidants in Oxyginberry® Capsules. Consuming antioxidant-rich plant foods may promote blood circulation, keep connective tissues healthy, and strengthen blood vessels. The result: You’ll look as good as you feel! * Sold in twin packs. inside. Stress, lack of rest, nutrient deficiencies and absence of antioxidants and phytochemicals in our diet affect not only our appearance, but our overall health and vitality. Oxyginberry combines nutrient-rich, rejuvenating and supportive ingredients to naturally enhance health and beauty both inside and out. of the richest sources of minerals, trace elements, amino acids, antioxidants, polysaccharides and enzymes found anywhere in nature. Seaweed also contains B-complex vitamins and vitamins D, E and K. Charged minerals and trace elements ionize and help rejuvenate cells and connective tissue, and stimulate collagen synthesis and cellular turnover. It is perfect for the body and skin. Nutrients and minerals in cactus have remarkable effects on the skin. The older the cactus is, the more valuable its nutrients become. However, cactus can take decades to become fully grown and must be processed with care. With regard to hydrating abilities, few plants can match the cactus, which keeps precious moisture and nutrients locked inside. Scientists believe that cactus contains essential nutrients that provide excellent nourishment to both the body and skin. 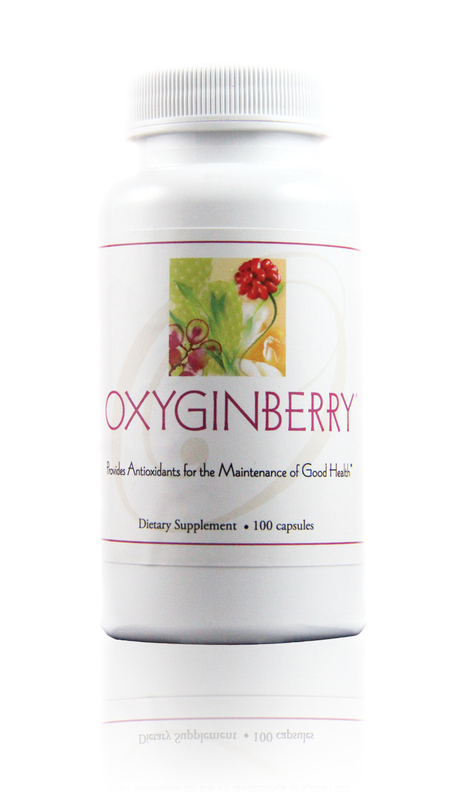 Oxyginberry may be invaluable for enhancing appearance and improving integrity of skin, hair and nail structure. Plus, it contains a blend of plants that contain phytochemicals and polysaccharides that support and nourish the internal organs for health and vitality on the inside that translates into beauty on the outside. Oxyginberry comes in a box of 2 bottles of 100 capsules each. Oxyginberry®Complex was originally created by Dr. Jau-Fei Chen for E. EXCEL's Elemente skincare line. It is a blend of cactus, cactus fruit, ginseng berry, seaweed, rose and grape seed extract that is excellent for skincare. Dr. Chen also realized that the qualities that made Oxyginberry Complex so wonderful for skin also had amazing benefits when taken internally. She develop Oxyginberry Beverage from these six ingredients to support the organs of the body and the powerful antioxidants found in these ingredients. Oxyginberry Capsules brings new technologies to bear on the same ingredients in capsule form. 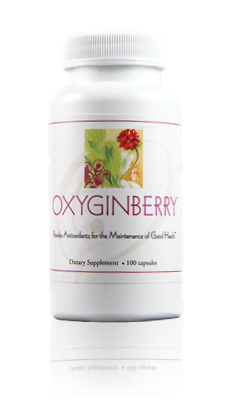 Q What is the difference between Oxyginberry Capsules and Oxyginberry Beverage? Both Oxyginberry Capsules and Oxyginberry Beverage contain almost the same ingredients. Oxyginberry Beverage does contain a few more fruits to give it more flavor, but , if taken as instructed, both offer around the same amount of antioxidants, phytochemicals and polysaccharides, and the same benefits. With Oxyginberry Capsules, E. Excellers can enjoy the wholesome goodness of Oxyginberry Beverage in capsule form anytime, anywhere. Q How do I choose between Oxyginberry Beverage and Oxyginberry Capsules? Oxyginberry Beverage is for you if you do not like consuming capsules. Oxyginberry Beverage can also be added to other drinks. If you are not used to the taste of Oxyginberry Beverage, Oxyginberry Capsules may be your best choice. Q How should I store Oxyginberry Capsules?